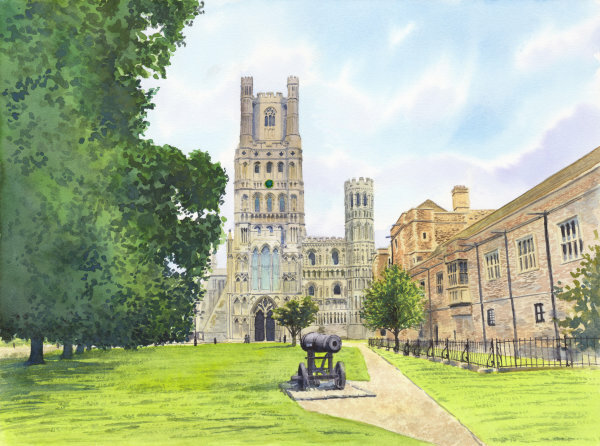 SOLD An iconic view of an iconic building, the ship of the fens, Ely Cathedral. Watercolours on paper, A4 size. The painting is framed in a white mount and natural wood square frame.